The BenRiach Distillery is generally not open to the public. 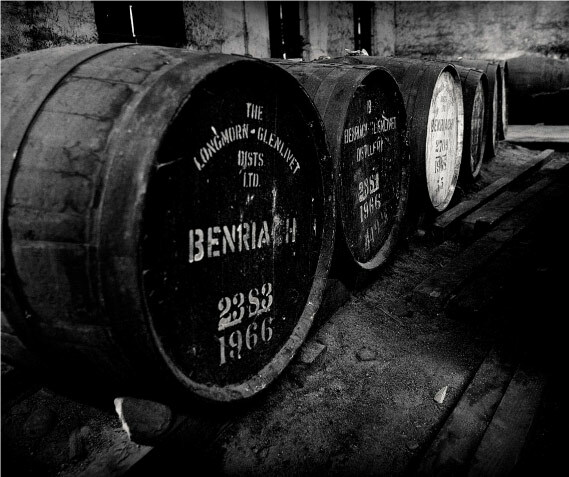 However, due to the high level of interest in visiting BenRiach we offer an exclusive Connoisseur’s Tour. THE CONNOISSEUR’S TOUR lasts approximately 1.5 hours covering production, warehousing and our floor maltings finished off with a selection of drams back in the board room. You will be able to see how our single malt whiskies are created by our passionate team and taste the result of their craftsmanship. The tours are available on TUESDAYS and THURSDAYS at 10AM and 2PM. Our distillery shop is only open after the tour. A wide range of our single malts and merchandise are available. ADVANCE BOOKING IS ESSENTIAL. MINIMUM 4 PEOPLE. You must be of legal drinking age to contact us. Invalid date entered. Tour date must be a Tuesday or a Thursday. I would like to receive e-newsletters.